This year has been filled with major announcements from MSC Cruises, the Italian operated cruise line that offers passengers a chance to experience the “Med way of life”. First came the news that the Lirica-class ships were to be stretched and refurbished, and then followed information for four new build vessels, two of which are a design unlike any other at sea. MSC currently operates a fleet of 12 ships, ranging in passenger capacity from 1,712 to 3,959, but the of the line’s new vessels will have a maximum capacity of 5,700, putting them in line with some of the world’s other mega-ships including Royal Caribbean International’s Oasis of the Seas and Allure of the Seas. MSC’s aim is to double its fleet capacity by 2022 with four new builds on the way, options for two more and the upgrading of the Lirica-class vessels. Just as significantly, the line hopes to more than treble the number of UK passengers – from 60,000 this year to 200,000 in 2017, by which time it hopes to have at least one ship sailing from British ports again. Central to the growth plan will be the launch of dedicated weekly British Airways charter flights to Venice and Genoa in 2015, delivering passengers to six MSC Cruises ships operating out of those ports next summer. MSC Cruises executive director UK and Ireland executive director for UK and Ireland said: “We intend to become a significant player in the UK cruise market in readiness for our new ships beyond 2017. That means making it easy for people to experience a cruise with us. The renaissance programme has been handed to Fincantieri in Italy and will see MSC Lirica, MSC Armonia, MSC Sinfonia and MSC Opera stretched with the addition of up to 200 new cabins per ship, a spray park, which will feature water cannons and a river of water, and the expansion of the vessels’ shopping areas. There will also be additional crew cabins added during the upgrades and collectively the ships will spend 38-weeks in dry-dock at a cost of €200 million. I took to the seas on Opera last August for an 11-night Atlantic Coast voyage and I have been craving a fix of Italian-style cruising ever since. Although the experience is similar in some ways to Costa Cruises – they are both Italian after all – MSC offers what I can only describe as a far more tasteful cruising experience and with a style that differs greatly from the likes of P&O Cruises, Royal Caribbean and Celebrity Cruises which all sail from the UK. There was a varied mix of nationalities something I had been slightly concerned about before I embarked. It turned out to be irrelevant in the grand scheme of things and I enjoyed the diversity. The multi-lingual muster drill took longer than it usually does on a ship filled with mostly Brits or Americans, but we got there in the end. MSC offer a notable selection of drinks packages and at reasonable prices, something that some lines like P&O Cruises don’t offer at all; they can still be very expensive with those that do, such as Celebrity Cruises. I purchased the Allegrissimo package which worked out at roughly £20 per-day and turned out to be worth every penny! It also included a 15 per cent service charge, which is added to all onboard purchases. 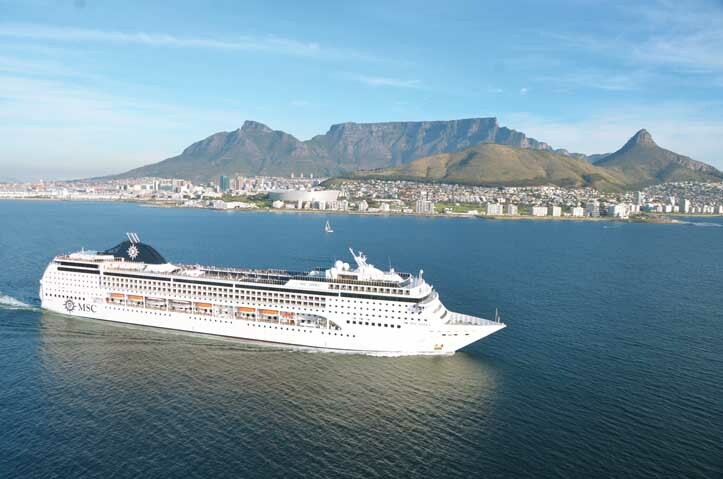 The biggest difference I noted with MSC compared to other lines was that they embarked new passengers in several ports on the itinerary, something the majority of other lines don’t tend to do. I boarded MSC Opera in Southampton and visited Ijmuiden (Amsterdam), St Peter Port, Bilbao, Vigo, Lisbon and Le Havre before returning to Southampton for disembarkation. Passengers joined and left the ship in Ijmuiden, Vigo, Lisbon and Le Havre. I had experienced this process briefly on MSC Magnifica during a three-day cruise to Hamburg earlier in the year but the experience of the process on Opera was far more intense. It took some getting used to the fact that cases were being left outside cabin doors every evening, and each morning would see new people arriving to begin their holidays. 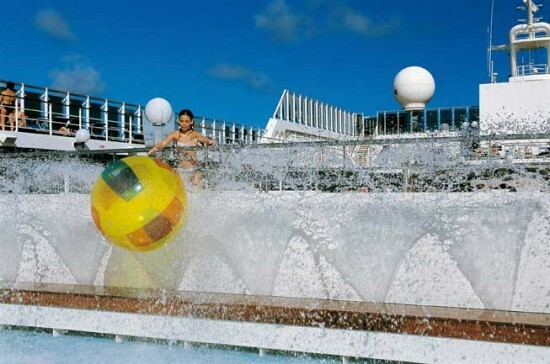 MSC Opera is very much a family-friendly ship, with two good-sized swimming pools, a kids’ club that is perfectly located straight off the Lido Deck (and right next to the Gelato Bar, surprisingly) and a good selection of activities both inside and out on the open decks. Dining is very much a Mediterranean affair, especially at Il Patio, the ship’s round-the-clock buffet option. For course-by-course waiter service the ship offers La Caravella and L’Approdo restaurants and lunch-time snacks can be found in Le Vele Cafeteria. The buffet selection was extensive and I found myself trying a selection of new and interesting dishes throughout the cruise, especially at lunch time. There are eight bars, a casino, which was only ever empty when we were in port, shopping area, nightclub and a 713-seat theatre which is the main venue for the evening’s entertainment. The two new ships code-named Project Seaside will be the largest ever built by Italy’s Fincantieri shipyards. Scheduled for delivery in November 2017 and May 2018, they will cost €700 million (£562 million) each. The 154,000-ton floating resorts will accommodate up to 5,300 passengers in 2,070 cabins, 73.5 per cent of which will offer a balcony – 1,354 balcony cabins, 124 suites and 6 ‘duplex’ cabins. Each vessel will be crewed by a team of 1,413. The Seaside prototype will feature a sea-level promenade at the stern (though it won’t actually be lapped by the waves) with a large selection of outdoor bars, shops and restaurants and an outdoor swimming pool and sunbathing area to the aft. This additional space is facilitated by the ships extra-wide beam (41m) and will be shielded to a degree by wind deflectors, allowing passengers to enjoy the area without feeling like they are battling against the elements. The ships’ width also allows for large interior public spaces covering 43,500 square feet. STX France has the contract to build the line’s other two newbuilds, which were announced in March, with the option for two more at a later date. Due for delivery in 2017 and 2019, they will each have 2,250 cabins, which will accommodate 5,700 passengers, plus 1,536 crew. Features include a large amusement park connected to an outdoor water park, as well as a two-deck inside promenade. MSC also promises an extended MSC Yacht Club, the line’s signature premioum class area that is effectively a gated first class community.